Discover the difference our seamless gutters, gutter covers, and rain barrels can make on your Wisconsin home. From Eau Claire to Wausau, Hayward to Marshfield, we are your gutter experts. Safe-guard your home from roof and foundation damage with properly installed gutters, gutter covers, and gutter outlets. By hiring our Stanley-based gutter service providers, you are not only taking steps to protect your home, but you are increasing its value and appeal. So why wait? Contact us today to get started on your gutter installation. Give us a call at 715-829-1223. Please describe your gutter project. 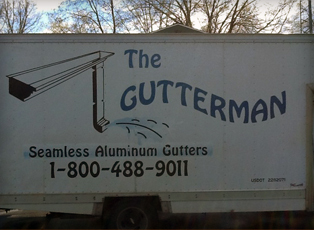 Are you looking for seamless gutters? Gutter Covers?